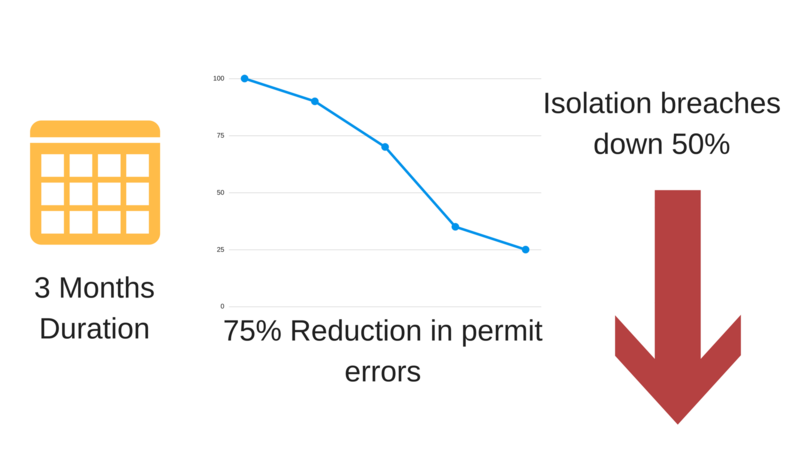 Manage your permit and isolation process to improve visibility of the work in progress, take all necessary precautions and preventative measures, improve team productivity and ultimately ensure the highest safety standards on your site. How does IntelliPERMIT help you? 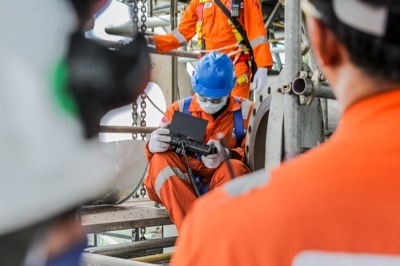 IntelliPERMIT reduces the risk of accidents by ensuring that a reliable process is always followed to ensure that all dangerous work on a plant is authorised, all preventative measures are in place and that all people involved are trained and competent to perform the work. IntelliPERMIT helps you make sure that all reasonably practical measures have been taken to improve safety on site and prevent accidents in the field. 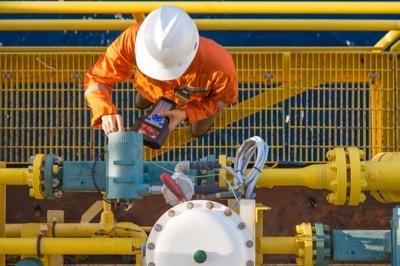 The result is significantly improved safety and productivity during non-routine maintenance and shutdown operations in hazardous industrial environments. A Permit to Work (or “Plant Clearance”) is a best practice for ensuring the plant is safely handed over from production to maintenance, and that residual hazards are communicated and adequately controlled. 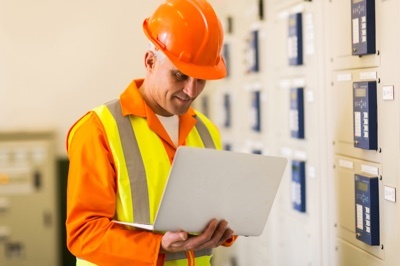 Positive isolations ensure that all potentially hazardous sources of energy are managed and kept isolated while non-routine work takes place on the plant. Work in hazardous environments must be supervised and performed only by competent and trained persons who are authorised for the task at hand. 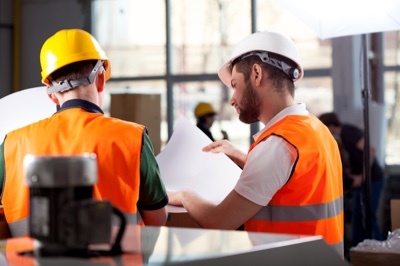 Configure IntelliPERMIT to implement your own procedures and rules for safe work, or easily adopt one of the many industry templates available. Rules for safe work can be overridden only in specific circumstances that you define. People are guided through the permit process, streamlined to cater for the specific requirements of the job. Randomised order of prompts ensures that users think through the safety implications at every step. IntelliPERMIT’s mobile app allows information to be retrieved in the field. The system is designed by engineers, for engineers and is easy to use even for people not familiar with computer systems. IntelliPERMIT’s many integrity features include options for biometric scanning of fingerprints or access cards. This ensures that safety is never compromised. The system includes checks and controls that are designed to always “fail safe”. IntelliPERMIT’s safety competencies are checked automatically for each person against the specific requirements of the job, plant area, activities involved and type of permit. The result is that only competent persons are authorised to do the work. The competency database can also optionally be linked to your training system to ensure refresher training is proactively managed. IntelliPERMIT provides information to support compliance processes including regular audits and incident investigations. The system provides evidence of the procedures followed before hazardous work takes place. IntelliPERMIT is designed to raise exceptions for further investigation when deviations from standard procedures are necessary. This ensures that challenges with procedures or the system rules are identified and addressed. IntelliPERMIT has been running successfully in BHP in the Queensland and Western Australia coal and iron ore divisions. Used at 8 mines, two ports and utility plants processing thousands of permits every year. Newmont implemented IntelliPERMIT at its enormous Boddington gold mine in Western Australia in 2011. Boddington has been acknowledged as the benchmark for confined space management by Western Australia’s Department of Mines and Petroleum. IntelliPERMIT is used throughout Eskom’s fleet of coal and nuclear generation plants in South Africa. Over 1000 active users typically process 300 permits every day for work in hazardous environments. AECI Bioproducts (now Anchor Yeast) has used IntelliPERMIT since 1998. 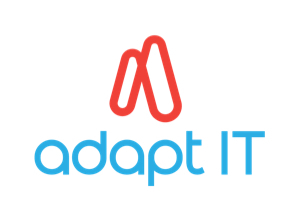 Initially used to manage plant clearances the system has been systematically enhanced with additional capabilities over 15 years, ensuring work continues to take place safely. IntelliPERMIT has enhanced safety performance on our site, particularly in the ore processing plant. It has reinforced our emphasis on safety, and is helping drive discipline around training and accurate, efficient record-keeping. We did not anticipate what a useful tool IntelliPERMIT would turn out to be. The system constantly reinforces the correct procedures when people do non-routine maintenance or shutdown work in the plant. Can’t find what you are looking for? Fill out your details to get pricing and additional product information.